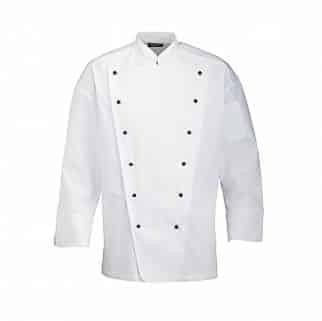 Recognisable Alsco’s Catering Polycotton Chef’s Jacket is just what you need when you are looking for a perfect jacket for your chef. 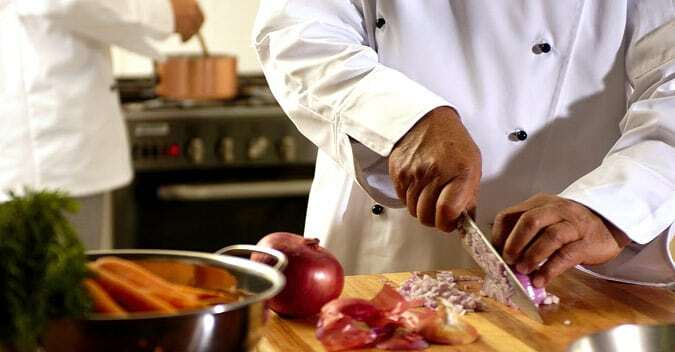 The double button rows on this jacket leave the impression of a high-class kitchen and an expert chef. Stylish mandarin collar and button strip fastening in combination with durable and comfortable fabric make Polycotton Chef Jacket a logical choice for every kitchen. Underarm gusset with vent holes make it a perfect wear for the high temperatures in the kitchen. It is available in white colour and sizes from XS to 3XL.